If you want to lead successfully, Jesus must first lead you! To lead well and bear fruit, you must be connected to the Vine (John 15:5). Another way of illustrating this is to imagine your life as a glass. As a spiritual leader, your main job is to be in a position where Jesus can pour into you to overflowing (see John 10:10; Ephesians 3:20; Psalm 23:5. The word for “”to the full” or “abundantly” means overflowing). As God pours His abundance into your life, you overflow into those He’s put all around you. 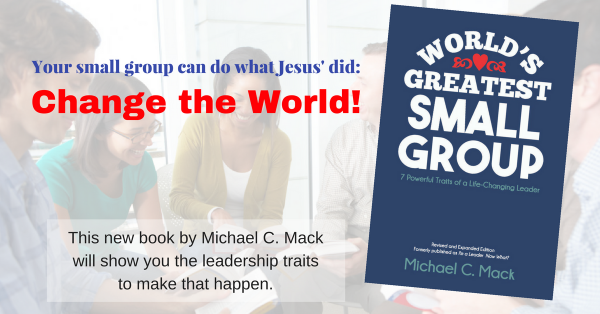 Your job as a small group leader is not to pour yourself out to others, but simply to allow God to fill and abundantly overflow your life into others with His love, mercy, and truth. So now I have a question, and I really need your response. How, specifically, is Jesus leading you? How are you opening yourself up to Him to fill and overflow your life into others? Please be specific, and share with other leaders so that we may grow together! Get the dialogue started below!